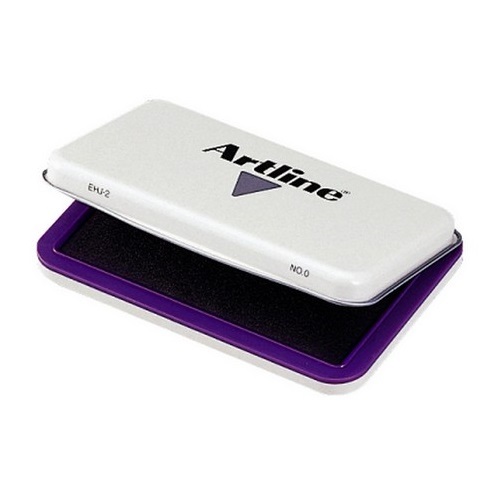 Premium quality stamp pads with metal and plastic casing and a fabric ink mat. Stamp pad surface will not dry out when left open for extended time. 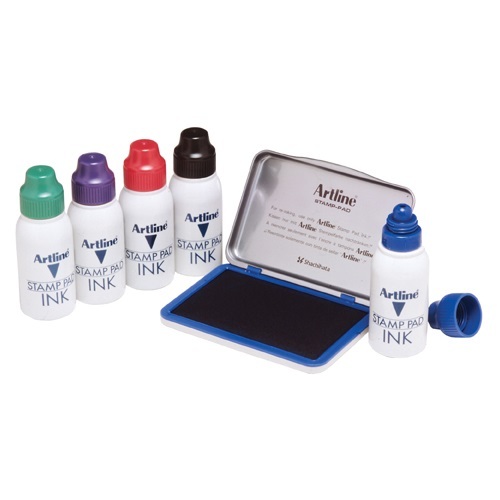 Water based ink is instant drying and blur proof. 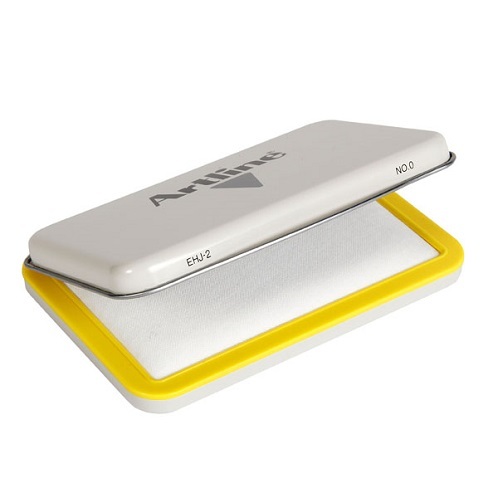 Choice of pad colours available. 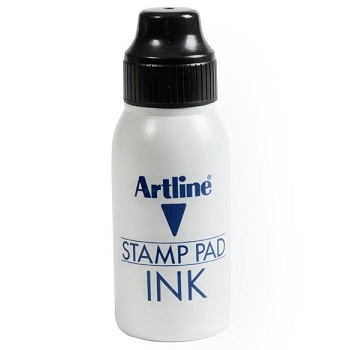 Quality Artline refill ink for stamp pads. 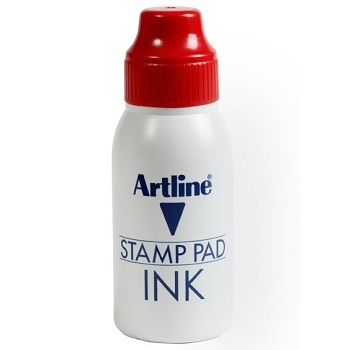 Value action squeeze bottle ink is ideal for re-inking dry stamp pads. 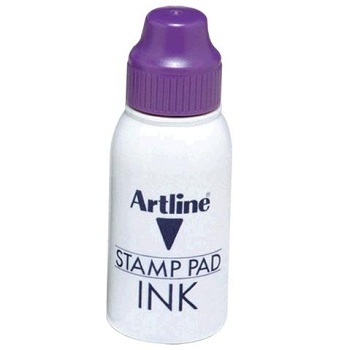 Not indelible ink. 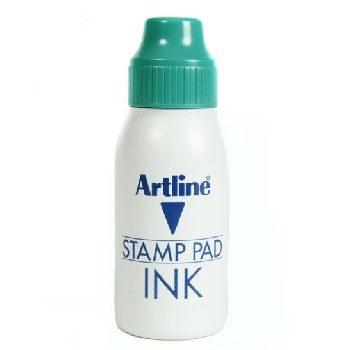 Simply squeeze the durable plastic bottle gently to start and maintain ink flow. 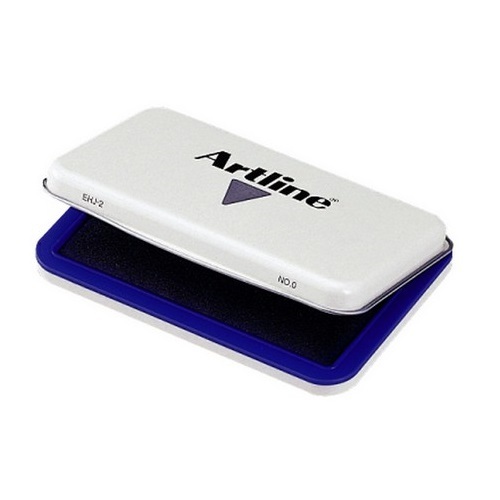 Non-drip valve stops accidental spills. 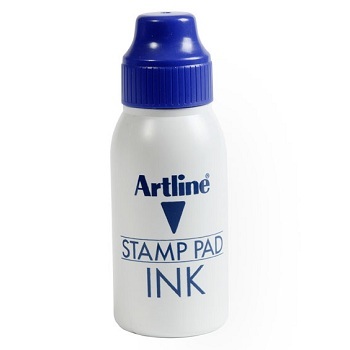 50cc Bottle - Available in a choice of ink colours.